﻿﻿Previous work has shown a number of phenolic components of NZ propolis demonstrate antiproliferative activity against certain human gastrointestinal cancer cell lines1. Here we report on a series of acyl glycerols isolated from the non-polar fraction of propolis resin, which represent further bioactive constituents unrelated to the more usual phenolic compounds generally found in propolis. NZ propolis is sourced from poplar trees and the acyl glycerols have been shown to be present in the leaves and buds of some common poplars. The compounds are a series of monoglycerides containing 3,8-dihydroxy fatty acids, many of which are further acylated with acetic acid residues. The dihydroxy fatty acids are C18 to C24, with the most abundant being C20 and C22. These acyl glycerols were found to have strong antiproliferative activity against three human gastro-intestinal cell lines, particularly gastric cancer cell line NCI-N87. ISNAD BLOOR, Stephen , CATCHPOLE, Owen , MITCHELL, Kevin , WEBBY, Rosemary . "New Antiproliferative Acyl Glycerols from New Zealand Propolis and Source Poplar Resin". 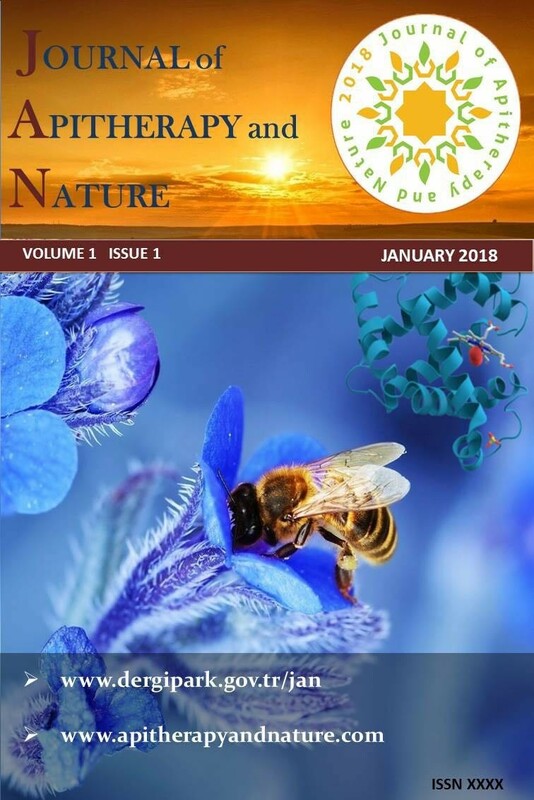 Journal of Apitherapy and Nature 1 / 3 (December 2018): 18-18.